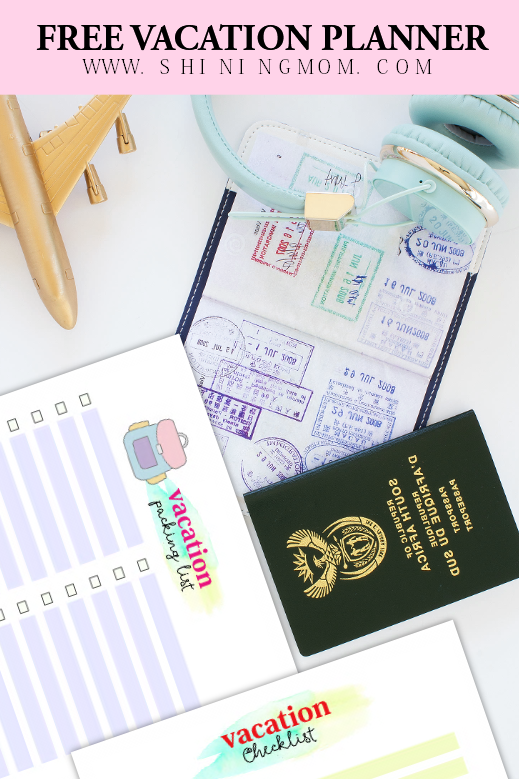 15 FREE Trip Planner Printables for Your Next Vacation! 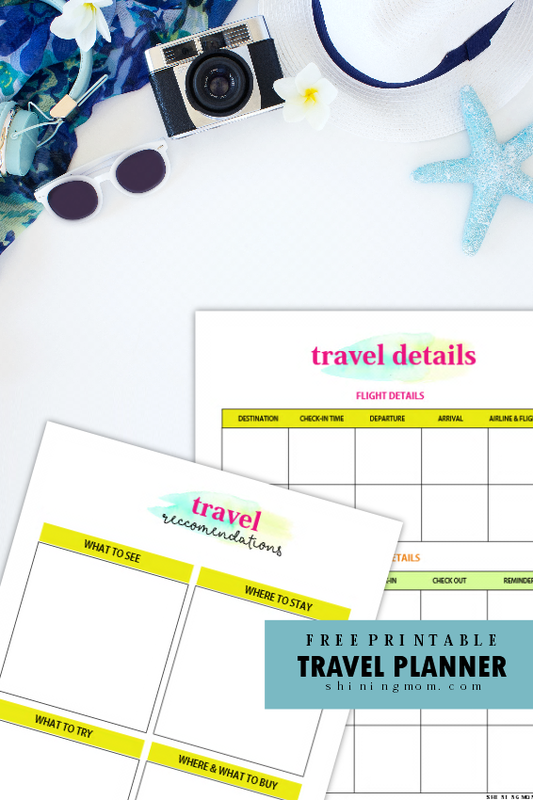 In need of free trip planner printables? I’m giddy in excitement to share this ultimate travel planner that I’ve just created. 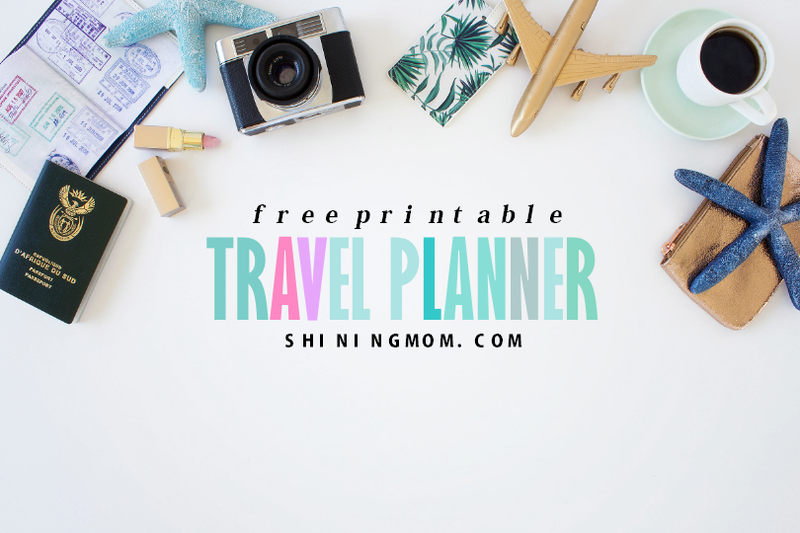 I have here over 15 sheets of free travel organizers to help you map out your next travel plans! If you think you’ll be needing them soon, scroll along! This freebie is for all of you, travel buddies. It’s time to plan your next trip. Enjoy! My heart is thumping in excitement as I write this post. Ahhh, the word “travel”. How it sparks up so much delight and thrill in my heart! Two weeks from now, we’re flying out as a family, and the excitement is already mounting. My son Kyle can’t wait for the day to come! 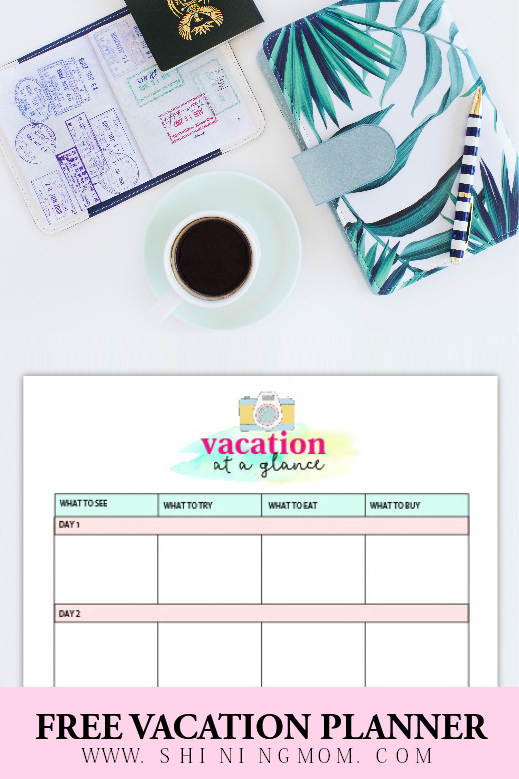 Our vacation inspired me to create your free trip planner printables on the blog today. I felt we needed some organizers to make sure we won’t forget anything important for the trip. A little planning ahead, I thought, would make the travel a delightful one for the family. Hence, just last night, I again tried my hands at creating a trip planner. As always, I love to share what I create. And you know what? Little did I know that my passion for planning has helped me grow this blog to a level that I’ve never expected. My blog traffic has doubled and even tripped because of all of you. Thanks for the warm support to the Shining Mom family! If you have some extra time today, I am inviting you to look into our shelves of freebies. The Shining Mom’s Printables Library is waiting for you. Meanwhile, here are the free trip travel planners that we have for you. Ready to see some of the pages included? Let’s have a quick planner tour! What’s Inside Your Free Trip Planner? I don’t know about you, but I certainly am the “list lover” kind of girl. I can smoothly carry on my to-do’s for the day with a list. And when it comes to traveling, I have to see the things sorted out, again, with an agenda. If you’re pretty much like me, I am happy to let you know that this free trip planner has different kinds of checklists for your traveling needs. Hooray! In addition to the pretty checklists, well, of course, I’ve included travel organizers where you can see your trip details at a glance. This free travel planner includes important schedules and reminders such as flight departure time, hotel reservation details and more! I actually created these particular sheets to make sure we won’t be missing out any in our upcoming travel. And to be sure that we get to have the best experience, I’ve also created a nifty page where we can write the travel recommendations we read or get from friends. Functional planner? But of course! Outfit Planner, Travel Journal and More! I also did not forget other travel planning nice-to-haves such as your outfit planner. (Yes, ladies, even your look for the travel needs to be carefully thought of!) And to make sure the vacation memory remains as vivid as it can be, there are also printable travel journal pages included! 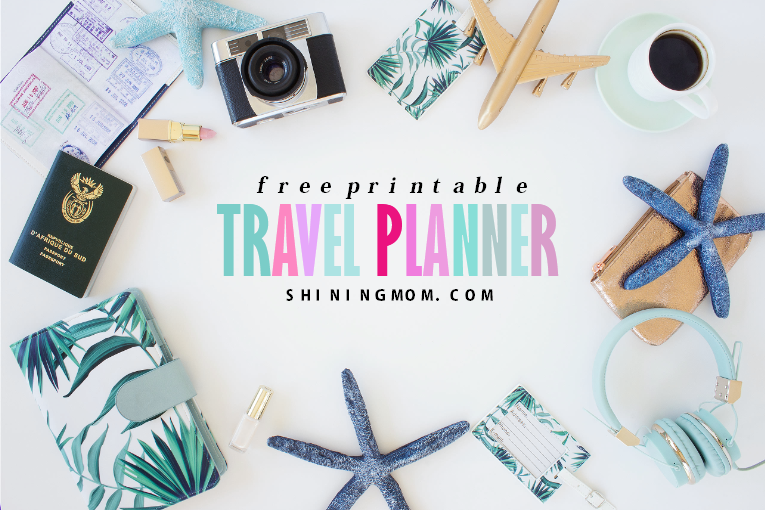 Would you like print Shining Mom’s free trip planner already? You can easily do so by simply hopping over HERE. By the way, I have created four travel planner covers for you which you can also print for free. View the cover pages HERE. And… that’s it! You’re ready to lay your plans for your next travel! Are you travelling soon? Do you have any organizer in mind for a trip that you wish to see in my future post? Feel free to leave your suggestions at the Comments and I’ll see what I can do! Not time to print this planner yet? Pin this post on Pineterst for future use! I hope you can use this planner, friends! And oh, if you like this post, please pin the topmost image on Pinterest? You’ll help me grow this blog that way and you can also easily access the post in the future. Thanks in advance! Have a great day ahead! « FREE July 2017 Calendar Set: 5 Gorgeous Designs to Print! This is so amazing! My husband and I are planning our first ever beach resort vacation, so these will come in quite handy! I found you while doing a quick travel planner search on Pinterest. Thank you for the freebies!